2nd - Alarm system pull station, 446 Seashore Rd. 4th - Alarm system, 400 E.Raleigh Ave.
11th - Cover assignment, Station 60. 15th - M.V.A., 720 Seashore Rd. 16th - Aero-Medical L.Z. assignment, Cape May County airport. 19th - Alarm system, 9601 Atlantic Ave.
20th - Alarm system, 9904 Seapointe Blvd. 23rd - Mutual Aide R.I.C. assignment Station 72, #3 Maryland cove. / Cover assignment Station 72. 23rd - Smoke Alarm, 201 Maryland cove. 23rd - Alarm system, 300 E.Raleigh Ave.
25th - Mutual Aide Station 51, structure fire 805 Stockton Ave. Cape May city. 26th - Alarm system, 9601 Atlantic Ave.
27th - Gas leak, 720 Seashore Rd. 7th - Jaws assignment, 324 Breakwater Rd. 7th- Aero-Medical L.Z. assignment, Cape May County airport. 8th - Dryer fire, 346 Park Ln. 9th - Mutual Aide Station 72, structure fire 109 Priest Blvd. 10th - Water Rescue, off of W.Aster Ave.
11th - Smoke alarm, #4 Rabbit Run. 13th - Investigation, Smell of natural gas 442 Seashore Rd. Church of the Nazarene. 15th - Structure fire, 313 Broadway Ave.
17th - Special assignment, assist other agencies. 828 Weeks Landing Rd. 22nd - Aero-Medical L.Z. assignment, Cape May county airport. 28th - Mutual Aide Station 72, Structure fire #3 King St.
2nd - Alarm system, 957 Shirley Ave.
5th - Aero-Medical L.Z. assignment, Cape May county airport. 6th - Alarm system, 500 E.Raleigh Ave.
12th - Alarm system, 687 Rt.9 Board of Education Bldg. 14th - Structure fire, #77 Wildwood Ave.
14th - Brush fire, 620 Saxon Ave.
15th - Aero-Medical L.Z. assignment, Cape May county airport. 17th - M.V.A., 462 Seashore Rd. 18th - Structure, 154 Oregon Ave.
20th - Structure, 508 E.Tampa Ave.
25th - Structure, 264 Franklin Ave.
26th - Investigation, Smell of smoke 442 Seashore Rd. Church of the Nazarene. 27th - Car fire, 610 Breakwater Rd. 1st - Alarm system, 9905 Seapointe Blvd. 2nd - Aero-Medical L.Z. assignment, Cape May County airport. 12th - Mulch fire, Freeman Douglass Park. 19th - Structure, 143 Breakwater Rd. 22nd - C.O. Alarm, Hotel Icona 9701 Atlantic Ave.
24th - Alarm system, 9901 Seapointe Blvd. 25th - Alarm system, 883 Towerview Rd. 1st - Report of smoke in the area, 513 Seashore Rd. 1st - Aero-Medical L.Z. assignment, Cape May County airport. 4th - M.V.A., 521 Seashore Rd. 4th - Alarm system, 883 Towerview Rd. 6th - Smell of gas, 827 Weeks Landing Rd. 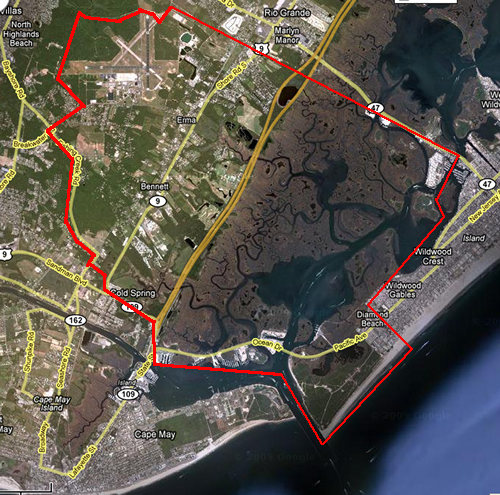 6th - Report of smoke in the area, Rt.9 & Breakwater Rd. 12th - Aero-Medical L.Z. assignment, Cape May County airport. 13th - Gas leak, Iacona Hotel 9701 Atlantic Ave.
14th - Mutual aide station 60, M.V.A. with building collapse. Milman center 209 Bayshore Rd. 16th - Alarm system, Canyon Club 900 Ocean Dr.
19th - Alarm system, Grand Hotel 9801 Atlantic Ave.
21st - Transformer fire, Rt.9 & Weeks Landing Rd. 22nd - Standby station, Assist police. 28th - Interior gas leak, 662 Turtle Gut Circle. 28th - Alarm system, 612 Turtle Gut Circle.